Event Rankings are user generated based on event ratings. Publish them on your site. Rate the 2011 top 10 events. 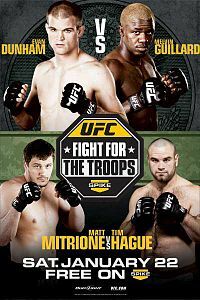 UFC 131 and Strikeforce: Fedor vs. Silva are bumped from the top 10 event rankings by UFC Live on Versus 5: Hardy vs. Lytle and UFC 134: Silva vs. Okami. UFC 125: Resolution and Strikeforce: Diaz vs. Cyborg were bumped from the top 10 event rankings by UFC 135: Jones vs. Jackson and UFC Live on Versus 6: Cruz vs. Johnson. 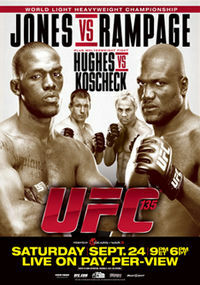 bumping UFC 134: Silva vs. Okami & UFC Live on Versus 6: Cruz vs. Johnson. Top 10 2011 Event Rankings. UFC: Fight for the Troops 2 and UFC Live on Versus 5: Hardy vs. Lytleare exactly tied. 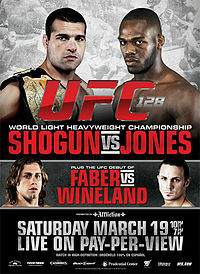 Where the hell is Shogun vs henderson! 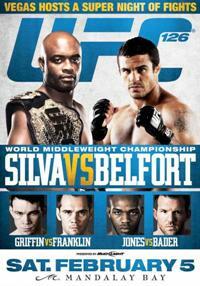 it IS the best fight, or atleast one of the best fights ever in the UFC! Its right there guy. Hint: His name is not Shogun, and neither was the event.